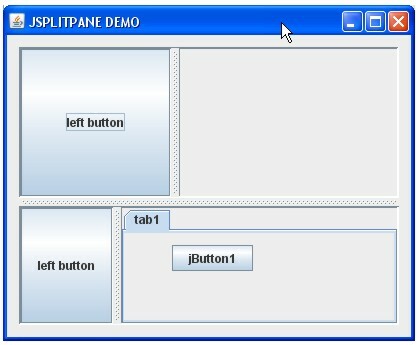 You can use JSplitpane to put two components, either left by right, or top by bottom. 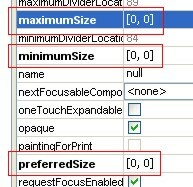 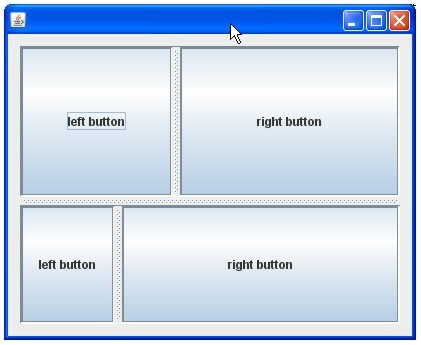 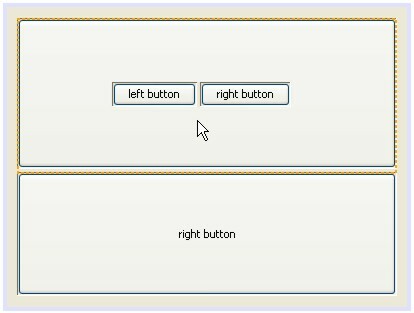 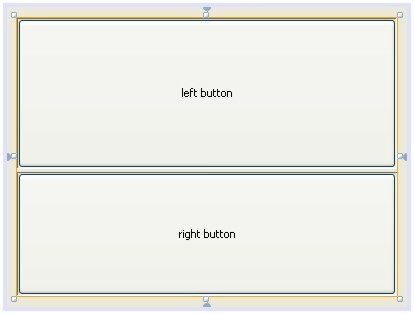 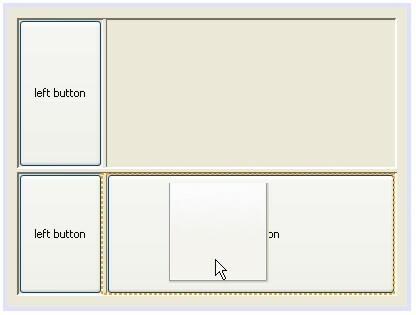 The user can resize a component by moving the divider. 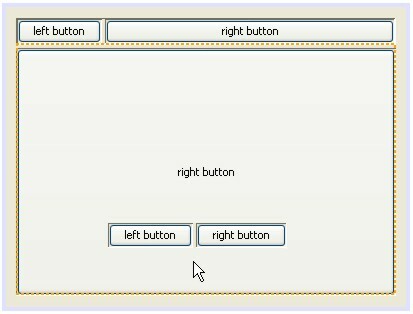 As usually, we asume that we have read and understood 001. 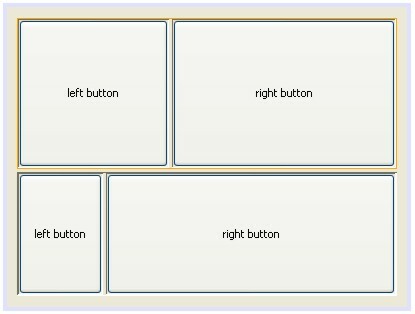 THE BEGINNING. 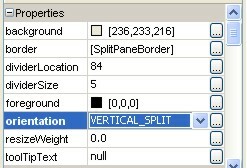 Create a JFrame then named Splitpane. 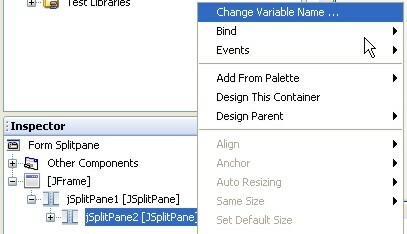 Put another JSplitpane from Palette on top component. 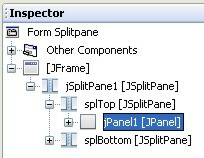 On Inspector, right-click jSplitPane2 (new JSplitpane) then renamed "splTop". 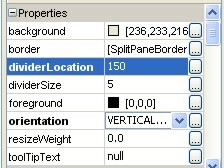 Put another JSplitpane from Palette on bottom component. 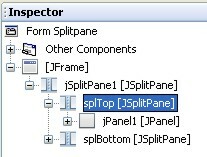 On Inspector, right-click the new JSplitpane then renamed "splBottom". 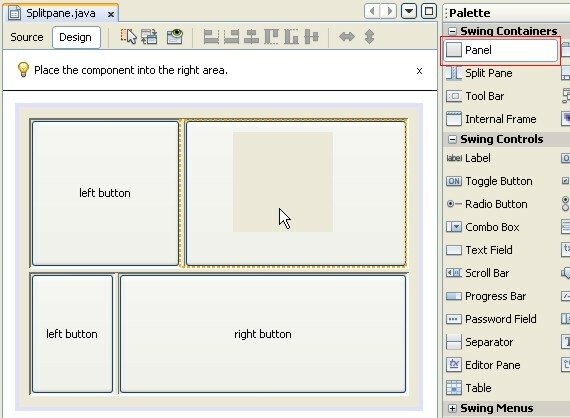 From Palette click JPanel and put in on the right of splTop. 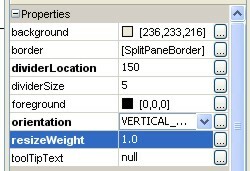 Just for tag, from Palette click JTabbedPane, and put it on the right of splBottom. 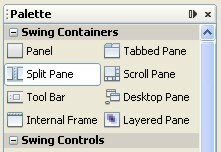 From Palette, click JPanel and put it on JTabbedPane. 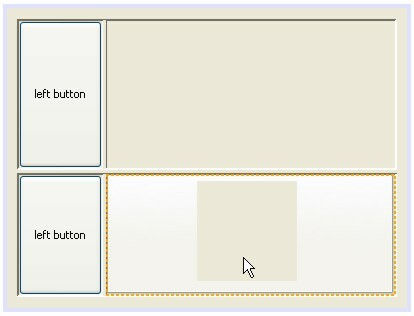 From Palette, click JButton and put it on the new JPanel.